2. Why Should Employees Be Financially Literate? 5. What Topics Should Be Covered? Being financially literate means having general knowledge of the fiscal and economic landscape of business. This includes standard business terms like profit, balance sheet, and cost of goods sold, as well as understanding what drives these numbers and the implications they may have for business operations. 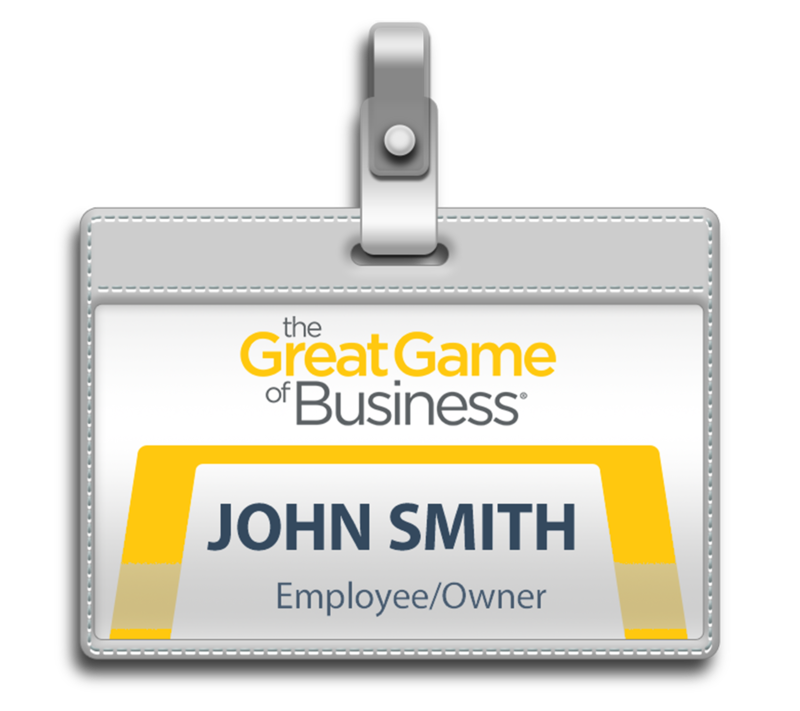 The Great Game of Business is a unique approach to running a business that involves everyone in the discussion of financial information. This dialog is intended to empower employees to use that knowledge to contribute to the success and sustainability of the business. In order for employees to be involved in the financial conversation, they must be educated on finances. This is where business and financial literacy training comes in. Why Should Employees Be Financially Literate? Traditional management styles have left employees in the dark about any business information that doesn’t directly pertain to their role and job responsibilities. But where this mentality falls short is in the realization that having the whole picture in mind actually helps employees perform more effectively in their roles. Financially literate employees have a better understanding of how their work (and the work of others) directly impacts the bottom line, for better or worse. That understanding can be very powerful. You see, when employees know whether specific actions are helping or hurting the company, they are more likely to make positive changes that improve operations. Not only that, but knowledge is an empowering force. Knowledge leads to informed and intelligent decisions. It also breaks down barriers and creates opportunities. Those leaders who believe in and want to develop their people should empower them with business and financial literacy. To be clear, when we talk about employee empowerment, we mean granting them autonomy and responsibility, and providing the tools they need to step up and carve out a self-driven path toward success in their role. As a leader, empowering employees may be one of the best things you can do to motivate them and ultimately make more money for your company. A study published in the Journal of Advanced Research in Economic and Management Services concluded that delegating authority led to improvements in employee performance. Another study of the 40 best companies to work for found that those with the most empowered workforce were more significantly linked to corporate wealth. Furthermore, empowered employees also have an indirect effect on work performance. In a meta analysis study conducted by the Harvard Business Review, empowered leaders were found to be more trustworthy and employees were found to be more likely to help other employees. Since knowledge is a great way to empower, it’s no surprise that those employees who have been educated outperform those who haven’t. This happens because by understanding how their individual roles affect the business as a whole, they can perform their work in service to the organization rather than just themselves. Experience has proven that underperforming workforces lack a big-picture mentality. There is a reason why CEOs work so hard. They know what’s at stake and how their actions and decisions are linked to business success, and consequently aren’t simply focused on getting a paycheck on Friday. Because we realize that employees need a big picture approach, financial educational programs are intended to get employees thinking more like CEOs and owners. Employees empowered with financial knowledge help shape the future of the organization. Plus, it’s human nature to subsequently fight for what you have helped create. The main objective of financial literacy training is to “bank on people.” By investing in and developing a strong team, businesses find that metrics like profit naturally see improvement. The problem most business leaders face is trying to turn a consistent profit. Think of this problem like a disease. By only treating the symptom and not the root cause, you will never cure the disease. In this example, the root cause is an underperforming workforce, while the symptoms are the many metrics indicating poor company performance. Financial literacy training for employees helps support the overall financial plan of the organization. In companies practicing The Great Game of Business, employees understand this plan and are taught how they can impact it. Because more people are putting energy toward realizing the company’s financial goals, those objectives become easier to achieve. Business financial literacy training isn’t intended to turn your employees into accountants. Rather, its goal is to give them a solid foundation in financials so that everyone can be on the same page about financial plans and contribute to discussions. Training should also include any other key metrics needed to show how company performance is measured. Any financial literacy strategy will need to be sound in order to see a return on the investment. Business leaders looking to explore a new ideas like this have to be confident they are doing the right thing. Developing strategic partnerships in order to effectively implement employee financial education can make the difference between success and failure. Here at The Great Game of Business, we’ve been involved in financial transparency and open-book management since 1983 and have distinguished ourselves as innovative thought leaders in this area with proven results to back up that reputation. The road to a financially transparent organization produces results if you are willing to invest the time and money to help the business. Taking the first step in getting the tools to motivate your team isn’t always easy, but if you have well-defined goals and are driven to achieve them, you are moving in the right direction just by reading about these strategies and methods. Don’t overly worry about your house not yet being in financial order. Our business coaches and community can help you navigate these new waters so your organization can become another Great Game success story. Want Employees With an Owner's Mindset?